Replaces worn or lost collars for all Standard Dr. Brown's baby bottles. 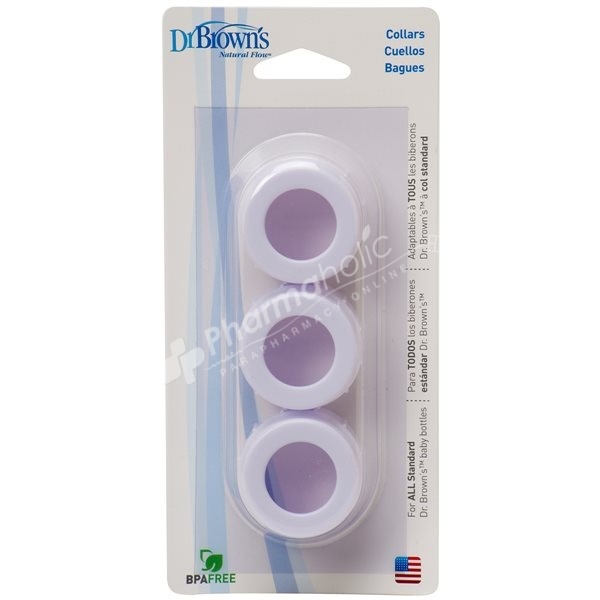 Three replacement Collars for use with Standard 2-ounce, 4-ounce and 8-ounce Dr. Brown's Natural Flow baby bottles. These are the same exact pieces that come with each Dr. Brown's baby bottle and are meant to replace worn, damaged, or lost Collars. Fit all Dr. Brown's Natural Flow Baby Bottles with "Standard" Neck. Replace worn, lost or damaged Collars.